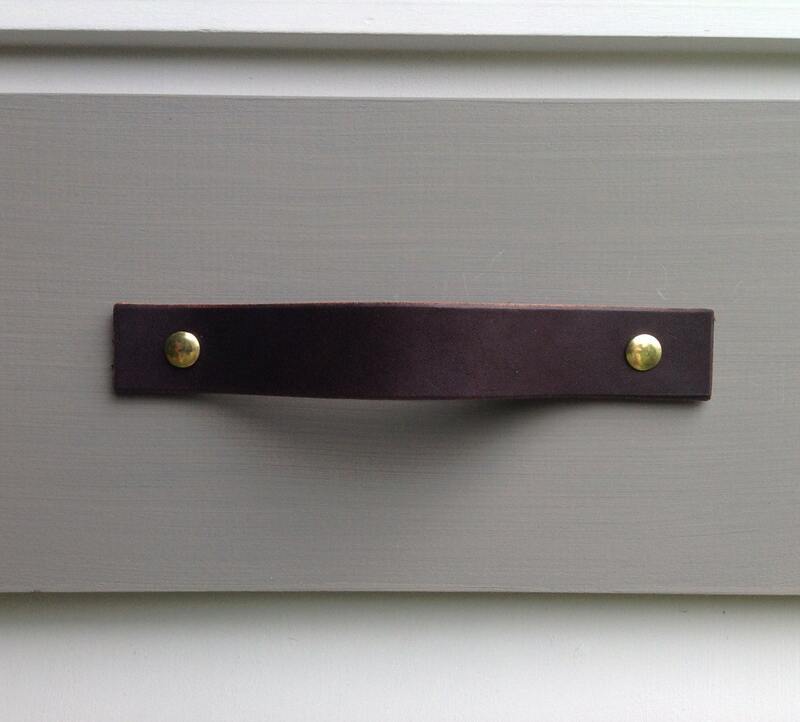 Dark Brown, Leather drawer pull for furniture, doors, boxes, etc. 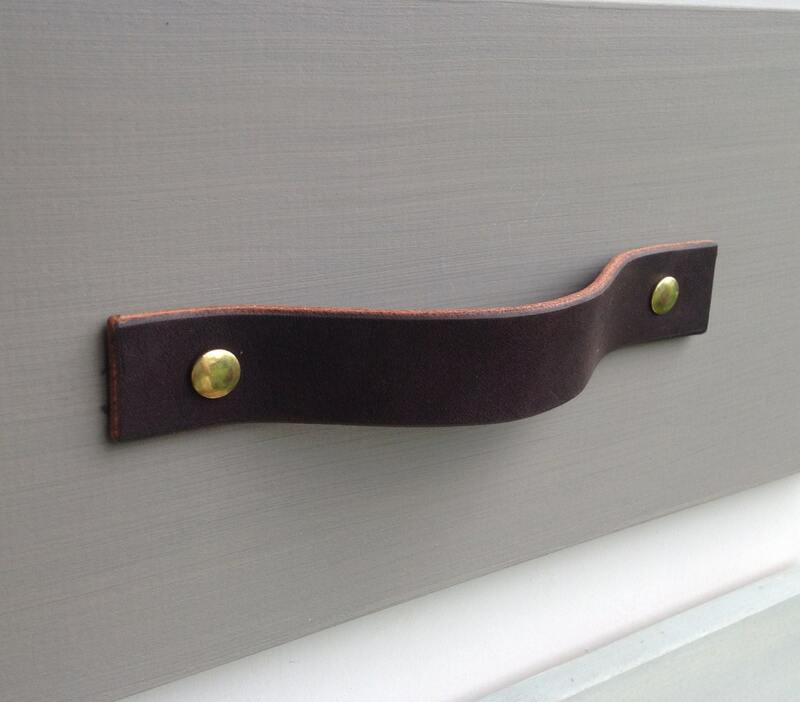 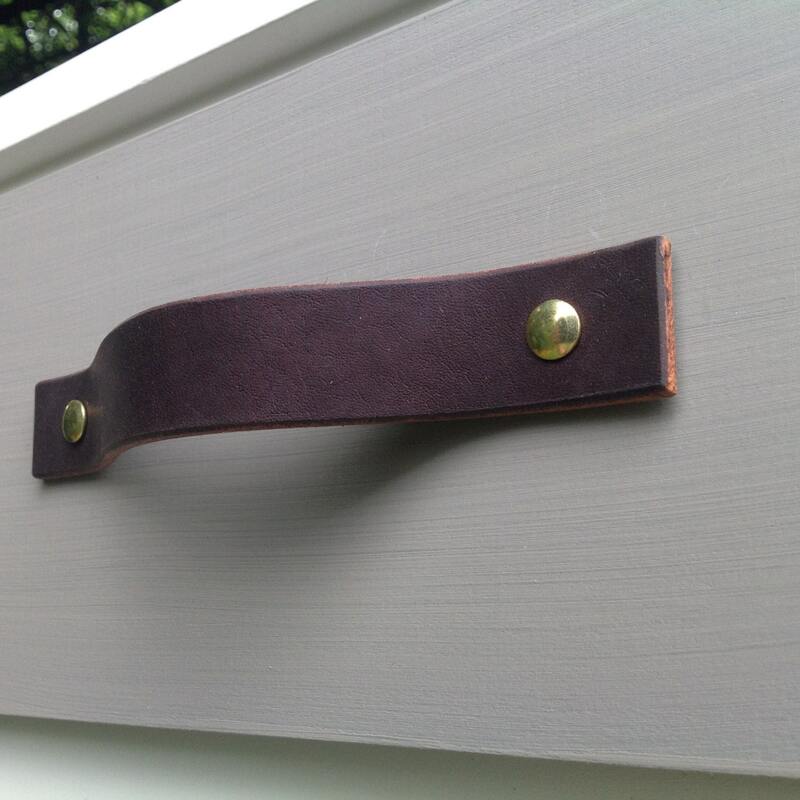 This drawer pull is made up of one piece of hard leather. 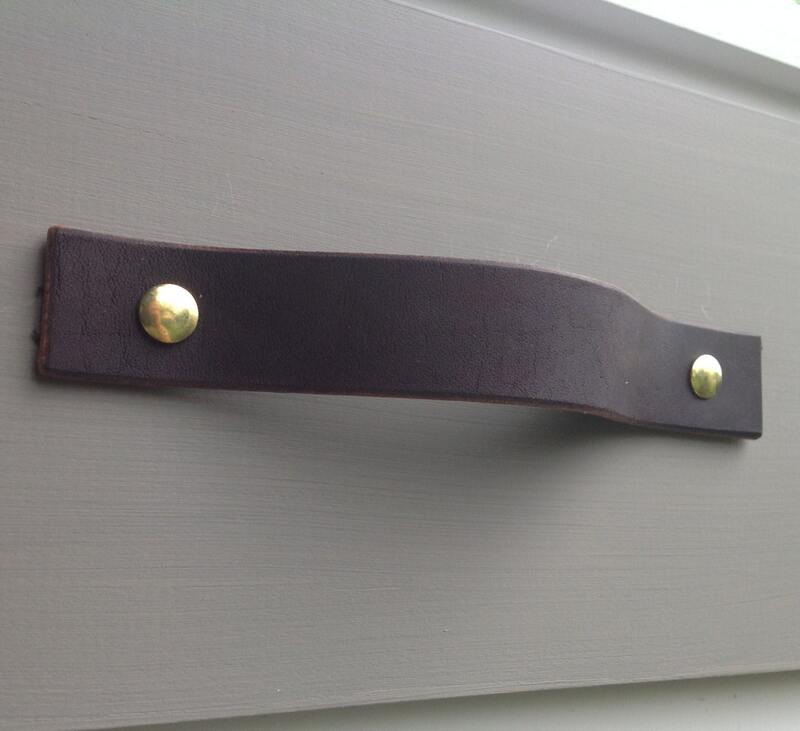 This version is plain with no top stitching.